Need dancing? Can't afford it? I'll help! ~ 8:00 Featured Class "Hollywood Style"
~ 9:00 Featured Class "Intermediate Balboa"
82% sold out! Don't miss this first time event! Give the gift of dance... we need dancers! Jan 3-10 Lindy Cruise "Jump, Jive, and Sail!" Some great NY Times Articles for your reading pleasure! So You Think You Can Dance - Lindy Hops! 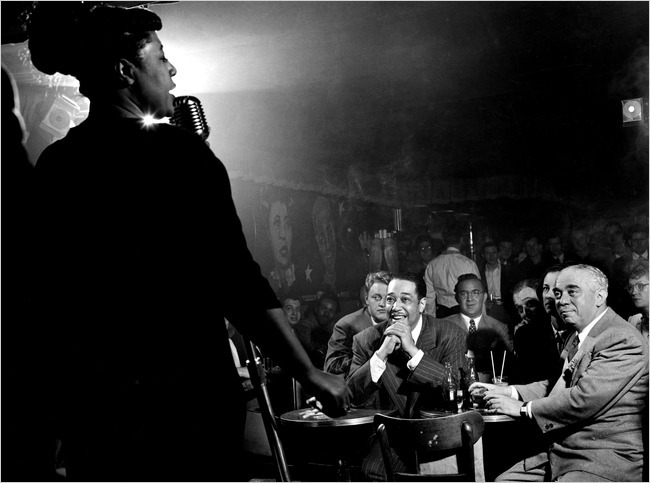 A Herman Leonard photograph of Ella Fitzgerald performing at the New York nightclub Downbeat in 1948. Watching rapturously are Duke Ellington, center, and Benny Goodman, in glasses behind Ellington. In 2000, a group of students organized our "Swing Shift Rhythm Club." This is our volunteer club that does fun and philanthropic events. Anyone can participate! Why not consider participating in some of the holiday events we have coming up that will really brighten up the lives of many people. Downey Retirement Home on December 5 at 2pm for one hour to kick off our Christmas SWING SHIFT RHYTHM PROGRAM. We need equal lead follows. Please give up a little time and dance for these seniors - if you have been meaning to dance for the community all year - here is your last chance in 2009! Please RSVP to Rita (dancinreet@gmail.com) as we try to keep it equal so every person dances as much as they wish. Dancers car pool, too! Just ask! 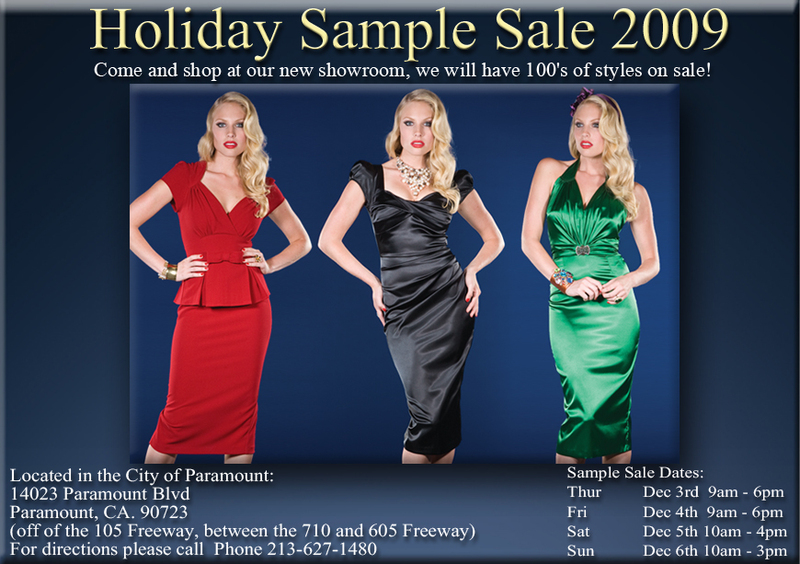 Dress festive and/or vintage - you may be the only visitors they have that week! 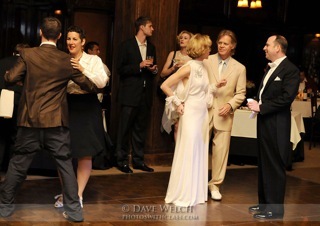 One of the things I love most about Lindy Hop is it's "Silly Factor." You know what I'm talking about, all those crazy moves - Peckin', Shorty George, Boogies. 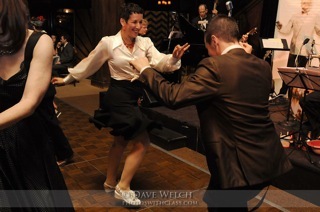 From the moment I started swing dancing, I was delighted to see my favorite dancers out on the floor using these nutty moves with utter abandon and joy. I knew this dance was for me. 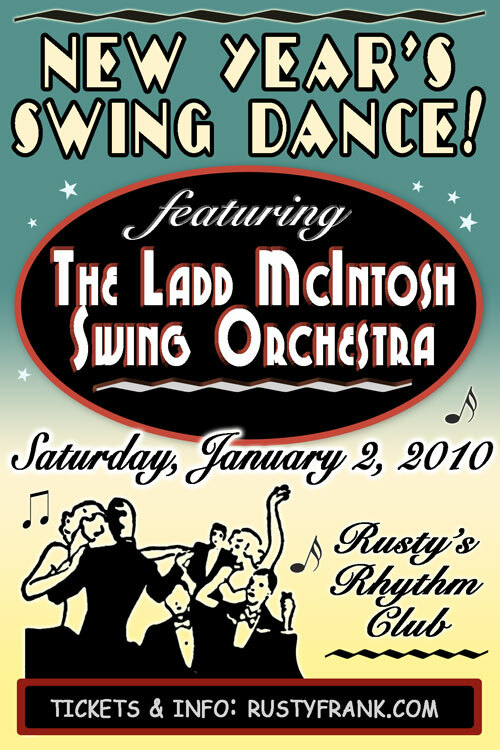 Recently I was hired to teach a group some basic swing dancing at the Cicada Club. The group was hosted by actors William H. Macy and his wife Felicity Huffman. One of their guests was the award winning dancer Benji Schwimmer (season 2 winner on So You Think You Can Dance). He had given William & Felicity a private lesson before the party. When the music started, Benji and I ran down to the dance floor. It was one of those awesome moments in dance... that moment when you have your first dance with someone and you just wonder what it'll be like. But from the moment we started, I knew it was going to be a blast, because Benji started throwing all kinds of crazy and fun moves at me. I just kept throwing them right back at him. It was like a dance challenge. As the music crescendoed to the end, I came at him with some Shorty Georges and then finished with some wildly enthusiastic Peckin'. He lifted me up in his arms, and shouted joyfully, "You're fantastic!". It was that spirit of Silly that did it! So remember to have fun with your dancing and to embrace "The Silly Factor"! 80% OF THE TICKETS GONE! PRICE GOES UP ON DECEMBER 20th! The Charleston Class is going to perform at this one! There is still room to join us on this wonderful dance cruise! We have a gal that wants to book - but needs a roommate. Call DanceFun today if you would like to go. 866-326-2338. When we mention this, usually more than one calls. Guys too, if interested call today - a roommate may be looking for you ! Extra - We have a special Dance Excursion with our instructors in Puetro Vallarta ! Our package includes transportation and Dance Party. Also available are horseback riding, zip-lines, tequila factory, swimming, great food and drink and more -- all in a beautiful jungle setting. This will be a cool highlight of our cruise ! There you are, texting away as you walk down West 46th Street in Midtown, and you nearly bump right into the big, bright gramophone on the sidewalk outside the Hotel Edison. The antique prop is put out on Mondays to mark the entrance to Club Cache in the hotel�s basement. There, the clock is turned back to the Jazz Age, courtesy of Vince Giordano and the Nighthawks, a time machine powered by 11 rhythmically inclined men in tuxedos. 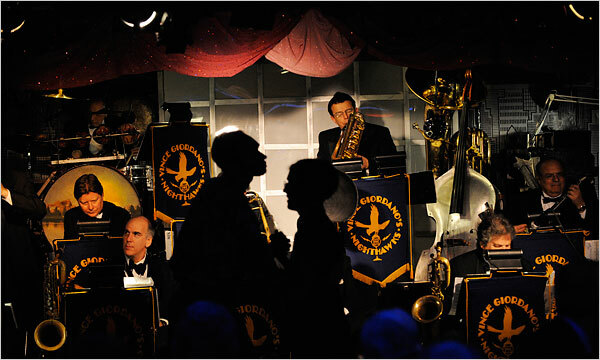 For decades, the group has been playing the dance band music of the �20s and �30s, really the last regularly working big band of its kind in New York. He and the Nighthawks started in this space, under Sofia�s Restaurant at the hotel, a year and a half ago. It is a throwback to the types of ensembles seen in old movies and photographs of handsome musicians with slicked-back hair in dinner clubs. And when they take the bandbox on Mondays, the scene seems to melt back into that bygone era, as the lights dim and the man with the fedora and radioland voice steps up to the old-fashioned microphone to introduce them. They launch into some hot number, and dancers spring from their tables to fling each other around the floor, dodged by waiters with food and drinks. The Nighthawks attract a clientele of aficionados, nostalgiacs and young swing-dance revivalists. Celebrities often stop by; Mr. Giordano and his music have been included in films by Woody Allen, Martin Scorsese, Francis Ford Coppola and others. The quirky cartoonist R. Crumb is an occasional attendee. Really, the darndest crowd. The other night, Frank Driggs, the Jazz Age historian and photo collector, was there with the writer Joan Peyser. The Irish musician Mick Moloney dined at a table, while the pianist Peter Mintun, once a staple at the Carlyle Hotel, dined at the bar. At a side table, the swing clarinetist Sol Yaged, 85, a walking screwball comedy skit, offered candy to pretty women. The band punched out zany numbers: the frantic, cartoon-like �Powerhouse,� then a blazing fast version of �White Heat.� They slowed down at times to ballad speed, serving up dollops of rich harmonic confection from the Jazz Age, or calling up a guest from the audience to sing. Onstage, Mr. Giordano, 57, drives the band, leaping from tuba to bass saxophone to his distinctive aluminum upright bass, which he plays like a madman in the old-school slap style. Then, debonair as a silver-screen bandleader, he steps out front with the baton or croons into a big round silver microphone. His men, steeped in hot jazz idiom, never stray in their solos. The cornet players know their Bix Beiderbecke, and the saxophonists know their Frankie Trumbauer. They rely upon an array of mutes and plungers to create gimmicky sounds. The drummer, Arnie Kinsella, uses an antique set with a hand-painted bass drum, a kettle drum, a small vibraphone, a hanging choke-cymbal and a set of wooden Chinese blocks. �All the drum heads are made of calf skin � Vince insists upon calf skin � because it has a softer sound,� Mr. Kinsella said. Andy Stein switched between baritone sax and a strange-looking �phono-fiddle� with a gramophone horn attached for amplification. Ken Salvo played a four-stringed plectrum guitar. �I�ve gone through many, many musicians to find a group who really interprets the stuff the correct way � it�s almost like trying to find someone who�s speaking a certain language,� said Mr. Giordano, who takes requests and spontaneously calls obscure tunes, midset. He brings roughly 3,000 selections to each gig and regularly passes out fresh sheet music. And this is a mere sliver of the Nighthawks� repertory, which is culled from Mr. Giordano�s archive of roughly 60,000 pieces of music, stored at his home in Midwood, Brooklyn: 30,000 big-band arrangements, 20,000 lead sheets and 10,000 silent-movie cues. It is one of the world�s largest private collections, packed mostly into 100 tall metal filing cabinets in the basement. While touring, Mr. Giordano scours antique stores and old theaters. He searches trade publications and local newspapers for sheet music sales and looks up retired bandleaders and contacts relatives of recently deceased musicians. His home is packed with old instruments and memorabilia and thousands of rolls for his player piano. The other day, he dropped a Victrola needle onto a scratchy 78 r.p.m. record of �Yes, We Have No Bananas� in Yiddish. �Bet you haven�t heard that one in a while,� he said. Mr. Giordano was born in Brooklyn, grew up on Long Island, and got hooked on this music after hearing his grandmother�s wind-up phonograph at age 5. As a multi-instrumentalist adolescent, he played with old-timers and studied with the renowned Jazz Age arranger Bill Challis, then started the Nighthawks in the mid-1970s, specializing in widely accepted classics linked to Fletcher Henderson, Louis Armstrong, Duke Ellington and Jelly Roll Morton � but also the overlooked, sweet music of society bands, like those led by Paul Whiteman and Jean Goldkette. Mr. Giordano often made arrangements from his transcriptions from old recordings, right down to the solos, with all their subtle inflections and details. WITH all the multi-disc jazz boxes that have come out in recent years � the complete Miles Davis on Columbia, the complete Charlie Parker on Savoy, the complete Duke Ellington on RCA and so on � it�s hard to believe that any significant tapes by any major musician might still be languishing undiscovered in a record company�s archives. Ella Fitzgerald performing in Chicago in 1958. A new four-disc boxed set on Verve captures her onstage in a small club setting. Yet Verve has just released �Twelve Nights in Hollywood,� a four-CD boxed set of Ella Fitzgerald singing 76 songs at the Crescendo, a small jazz club in Los Angeles, in 1961 and �62 � and none of it has ever been released until now. These aren�t bootlegs; the CDs were mastered from the original tapes, which were produced by Norman Granz, Verve�s founder and Fitzgerald�s longtime manager. They capture the singer in her peak years, and at top form: more relaxed, swinging and adventurous, across a wider span of rhythms and moods, than on the dozens of other albums that hit the bins in her lifetime. Richard Seidel, the producer of the boxed set, first heard the tapes early this year. He was driving to Massachusetts from his home in New Jersey and brought along some rough CD transfers to play in the car. There�s nothing rare about a joyous Ella Fitzgerald recording; the woman exuded joy in nearly every note she sang. Yet the level on these sessions soared higher and plumbed deeper. Why these tapes stayed locked in the vault for nearly half a century � and what it took to set them free � is a tale of a producer�s neglect, a jazz sleuth�s obsession and a string of happy coincidences. 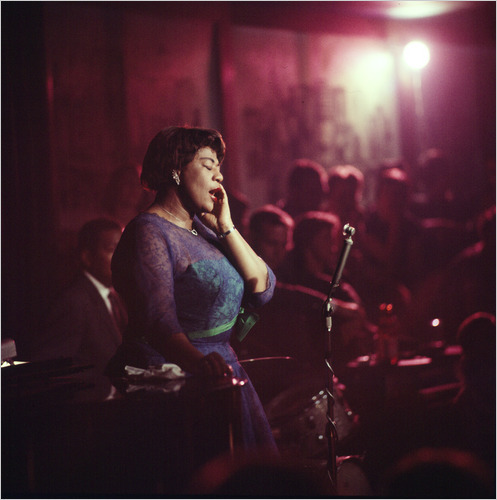 The 1961 Crescendo gig, which took place from May 11 to 21 (with one night off), was booked as an afterthought to begin with, a time filler between a European tour that Fitzgerald and her quartet had begun in February and a monthlong stay at the Basin Street East in New York that June. Granz took the unusual step of taping every set. But in the next year alone he and Fitzgerald recorded six studio albums, most of them with large orchestras, including two of her eight heavily promoted songbook albums, each devoted to standards by a prominent American composer. Whatever the reasons for the flat reviews and scant sales, the executives of Verve � which Granz had sold to MGM in 1960 � put the Crescendo tapes in the vault, where they were forgotten for the next 27 years. Then, in 1988, Phil Schaap, a dogged jazz scholar well known for excavating long-lost treasures from studio archives, was contracted by PolyGram (which had recently bought Verve) to compile a discography of all the recordings � issued and unissued � that Fitzgerald ever made for the label. It was soon after this triumph that Mr. Schaap came across the tapes from the Crescendo Club � not just the tracks that Granz had picked for �Ella in Hollywood,� which was long out of print, but the other reels, which nobody had unspooled for nearly three decades. Mr. Schaap listened to all of them and thought that here was another trove of hidden jewels. But by this time Verve was busy producing CD reissues of Fitzgerald hits. There was no appetite for sifting through what appeared to be the rejects of an old flop. And there things stood until late last year, when Mr. Seidel was re-reading a biography of Fitzgerald by Stuart Nicholson. In the back of the book was an expanded version of Mr. Schaap�s discography � 61 pages long � as commissioned by the author. Mr. Seidel had been the head of Verve from 1982 to 2002, signing nearly all its jazz artists and producing most of their albums. In 2006 the label, which was now owned by Universal Music, rehired him to produce reissues. The year marked the 50th anniversary of Verve�s founding � and of some of Ella Fitzgerald�s greatest Verve albums: �Jazz at the Hollywood Bowl,� �Ella and Louis� with Louis Armstrong, and her first two songbooks (devoted to Cole Porter and Rodgers and Hart). There was a demand for lots of Fitzgerald projects, and Mr. Seidel drew up a list of a dozen possibilities for the next three years. One of the last of those projects, and potentially the most ambitious, was the Crescendo Club sessions. Scanning Mr. Schaap�s discography, he was struck by how much was put down on tape at that club � 10 nights� worth, and another two nights during a repeat visit, which he�d never known about, in June 1962. Toward the end of 2008, in a meeting with Verve�s general manager, Nate Herr, Mr. Seidel proposed at least taking a listen to those tapes with an eye toward releasing them. He knew it was a long shot. But Mr. Herr was game. He was about to inaugurate the Verve Select series, multi-disc boxed sets of unreleased or out-of-print material. Maybe those Crescendo tapes could get the series rolling. Remarkably, with the exception of �Ella in Hollywood� and �Live at Mr. Kelly�s,� a 1958 Chicago date (which wasn�t released until 2007), there are no Fitzgerald albums recorded live in a small club. �Mr. Kelly�s,� another Schaap discovery, was an eyebrow raiser because of its novelty, but it�s far inferior, musically and sonically, to the Crescendo sets. The �Ella in Hollywood� album was tarnished not only by the phony concert-hall applause but also by the fact � which this new boxed set makes clear � that Granz did a poor job of picking which tracks to put on the album. �Twelve Nights in Hollywood� is not a complete document. (If it were, it would consist of more than a dozen CDs, not four.) But it does include what Mr. Seidel regards as the best version of nearly every song � 76 out of 83 � that Fitzgerald sang on those nights. Six of those 76 songs were also included on the �Ella in Hollywood� album. Because Verve was about to reissue it as well, Mr. Seidel, to avoid redundancy, picked different versions of those songs, which she�d sung on different nights from the ones that Granz selected. On five of those six songs, Mr. Seidel�s choices are clearly better � more spirited, more playful, more passionate, even bluesier. The blues were never Fitzgerald�s strong point; her few stabs at singing them in the studio came off as lame because it was hard to believe she had the capacity to be sad. But on these recordings she sings several blues songs, most notably �St. Louis Blues,� and, while no one would mistake her for Billie Holiday, she takes them for a bumpy, saucy ride. When she scats on these recordings, she goes higher, lower, faster, more syncopated, more harmonically complex than usual; it sounds like a really good bebop horn solo, not an affectation, as her scatting on studio albums sometimes does. And when she sings a ballad, she takes the melody in more � and more inventive � directions while still making it at least as heartbreaking as she ever did in a studio or large concert hall. Herman Leonard, the great photographer, once took a picture of Duke Ellington sitting at a front-row table in a small New York nightclub, beaming at Fitzgerald while she sang. More than any other album, �Twelve Nights in Hollywood� gives us an idea of what Ellington was smiling at. They did it! And they did a great job. When you think these dancers just have a few days to look and dancing like lindy hoppers, it's fantastic. One of our current greats, Carla Heiney, did the choreography. Just think what this means! the entire nation saw Lindy Hop! Judy Garland & Gene Kelly appear in our Clip of the Week from the 1950 film, "Summer Stock." However, this was not their first appearance together. Name the movie. Stop Staring Sample Sale One of our favorite stores is having their annual sample sale. Don't miss it, girls!